YouTube: The best of things/the worst of things! YouTube is such a pervasive and omnipresent element in this digital age that it seems almost ridiculous to write a column about its role and place in the magic world. However, I do think I have a couple of thoughts on the subject that warrant a few words in this e-zine about this delightful resource but potentially double edged resource. Firstly let me be as positive as I can on the use of YouTube as a digital window into our wonderful world of magic with its rich and varied past. What a magnificent opportunity it gives contemporary magicians to understand the skills of performers who have paved the way for magic, as we now know it. Here are three tips for our younger readers to do a little YouTube research. Search the following headings on the YouTube homepage. ‘Fred Kaps Magic.’ A glorious storehouse of video material is available online featuring this brilliant and sophisticated performer. 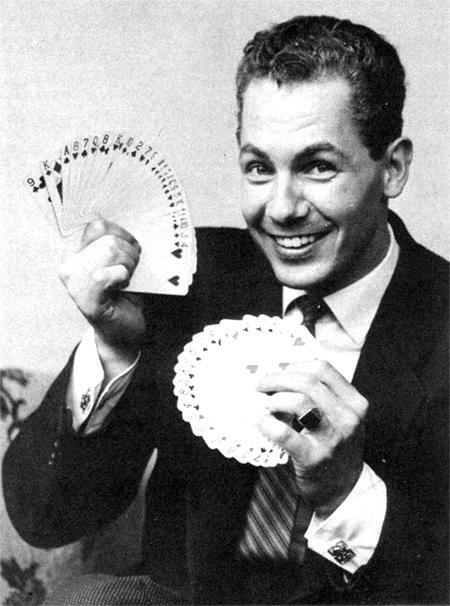 I am constantly shocked when I find younger magicians who are unaware of the stupendous talents that Fred brought to both his performance and routining skills. If you have never seen Kaps in action then you have a true joy awaiting you! Magic really doesn’t get any better and there is a particularly rich archive here awaiting your search. 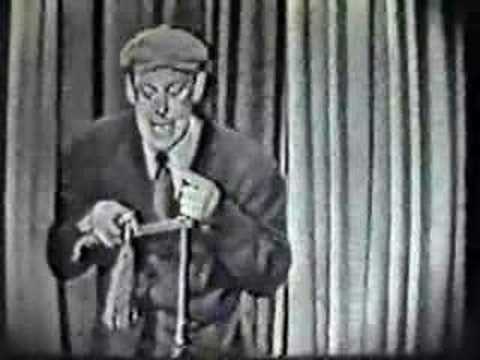 ‘Roy Benson Magic’ Benson was a comedy magician who was way ahead of his time. His routines and comedy are timeless and play as funny today as they were on the day they were recorded. If Roy Benson is just a vague name from the past then do yourself a favor and bring him to life with the (sadly, way too few) black and white clips that YouTube supplies. 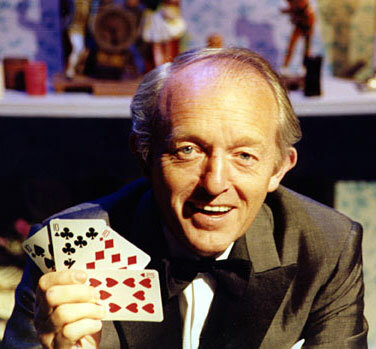 ‘Paul Daniels Magic’ Paul, of course, is a very much present and powerful force in magic. He is a living legend in England who launched many magical careers with his various TV series. I would venture to state that no performer has performed as much (and varied) magic over the traditional tube. I left England before the Daniels tidal wave hit the air waves and have also never had the opportunity to see him perform live—thank heavens for YouTube! There are many younger performers in the United States, and around the world, who fail to recognize the enormous influence and talent, which made Paul a household name. Check him out on YouTube and you have a joyous experience ahead of you! I make these three particular suggestions to our younger readers with absolutely no apologies to older readers who have already discovered these magnificent performers. The presence of YouTube’s video gems may be unfamiliar to them and the hours of entertainment, education and laughter that lay ahead will make all that spam on your computer melt away into a minor inconvenience. On a very different note, not everything about YouTube makes me as happy as the ability to watch the kind of performers I listed above. There is a disquieting amount of younger performers who make ‘show and tell’ videos, which are a disgraceful breach of magic’s time honored code of non-exposure. YouTube is public—GOT IT! Explaining how moves, and worse still other performers routines are accomplished in order to ‘get your name out there’ is unacceptable to me. Here is my addendum to the, admittedly brash, home truth; “Those who can’t do, teach!” I would add; “Those who can’t do OR teach shouldn’t be encouraged to shoot crappy video on their iPhone and then post the results on YouTube!” You could argue with me till you are blue in the face and I will never agree that this ‘advances’ magic in any way. I’m just going to touch on one other topic that relates to magic on the Internet. I recently re-posted a video that someone had created showing a ‘side by side’ comparison of two young Turkish magicians cruising to a big win on ‘Turkey’s Got Talent,’ by copying verbatim routines by Jeff McBride, Mac King, David Copperfield and Penn & Teller. In this case they could have renamed the show, ‘Turkey has access to YouTube!’ I strongly suggest you check out the video yourself at this link http://www.isocdn.com/SMV.mp4 If you have an ounce of integrity I think you will be truly shocked at what you see. I will be re-addressing this issue at a further date, let me know how you feel at nicklewin1@mac.com I feel that the time is right for a very careful and considered look at this unacceptable situation. ~ by Nick Lewin on January 17, 2014.